A-Team Removals Ascot offer a personalised service for House Removals in Ascot Berkshire and the surrounding areas. 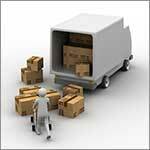 A small family run business with many years experience in removals Ascot. we have a proven track record as one of the most reliable removal companies in Ascot Berkshire and since 1985. We offer a full packing service to make your house removals run smoothly. We look after your furniture and possessions with the upmost care to ensure that they arrive at their destination in the same condition as they left. For your first choice in house removals Ascot – Why not give us a try. You have our word that you will not regret it. Moving house is major event with many pitfalls. It pays to employ an experienced removal company to undertake this headache for you. Why not take a look at what some of our satisfied customers are saying about our house removals in Ascot Berkshire and the surrounding areas. They will hopefully help you to decide your choice of removal companies in Ascot and let you concentrate on your new home.